We’ve owed you a “COURI VINE” update for a little while, so fasten your seat belts because a lot has been happening. 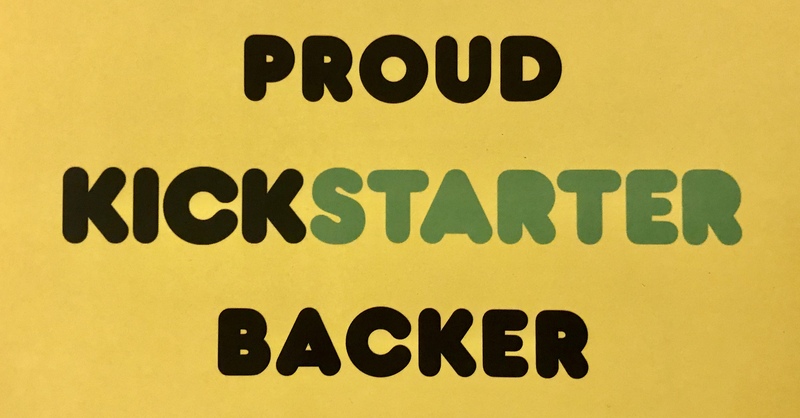 Since our second Kickstarter was funded (Thank you!) just over a year ago, we did a small print run of Book #3, Hostages. This book will SOON be available on ComiXology, along with Books 1 and 2. 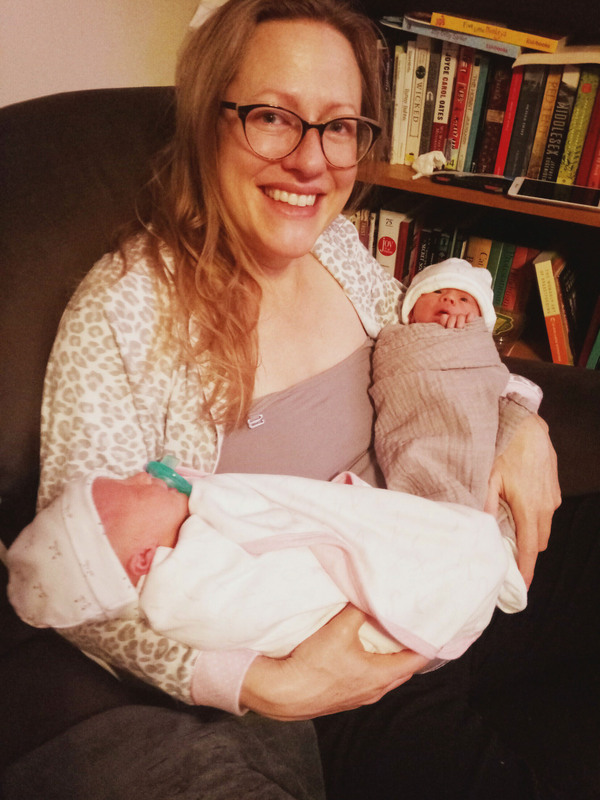 Book 4 (the final book in this story) was expected to launch in the fall of 2018, but we’ve had some other LAUNCHES that have taken our full attention, namely… TWINS! A hearty congratulations to Leah Lovise and John Van Lowe, who gave birth to a son and a daughter in January! We are over the MOON about these Wonder Twins. So while Book 4 is taking a little longer than we initially planned, please stay tuned. We hope it will be worth the wait. Slow and steady wins the race, (that’s what they say) so sit tight and expect to hear more about the final Couri Vine book later this year. Thank you again for your ongoing support, and for sticking with us on our comic book space adventures. PS. If you don’t already, please keep in touch with us on Facebook, Twitter, and Instagram, where we post news and art as it happens. And please SIGN UP on our mailing list! You can listen to Vanessa Shealy and Leah Lovise talking comic books, family, and heading to STAPLE! Independent Media Expo this Sept 8 & 9 on the BryFy pocast! Click THIS LINK to listen on the Podbean site, and be sure to share and like this link on Twitter. Thanks for listening! 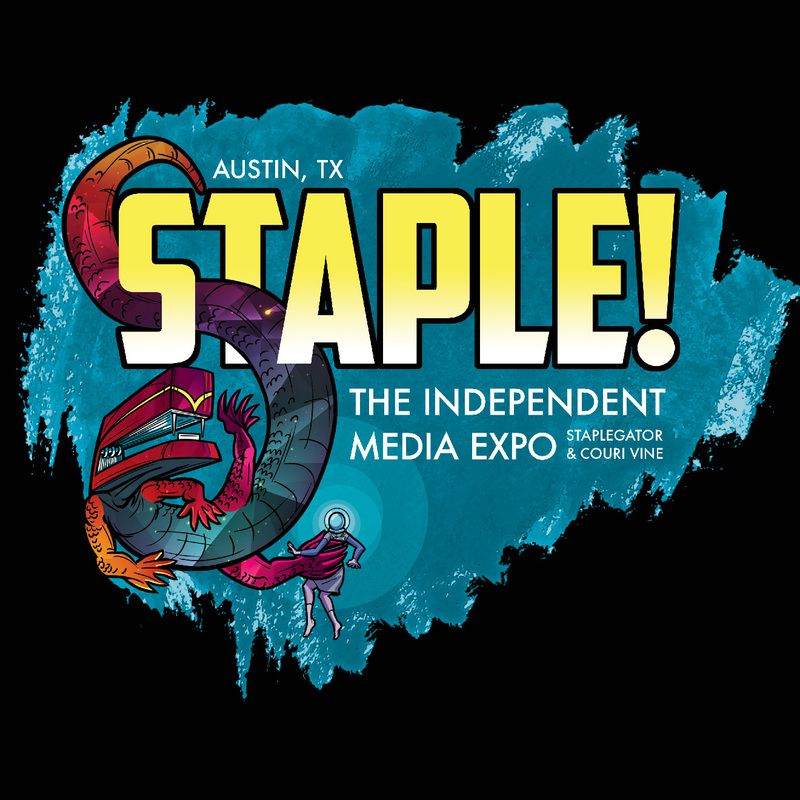 The Couri Vine co-creators, Vanessa Shealy and Leah Lovise, will be at STAPLE! Independent Media Expo on September 8 & 9. Please come on out and meet us, along with all the other exhibitors! Leah has been exhibiting Couri Vine at STAPLE! since 2015, when she brought a small print run of Book 1 and sold out our very-first-ever 50 copies. Since then, each year a subsequent Couri Vine Book has made it to our table at the expo. 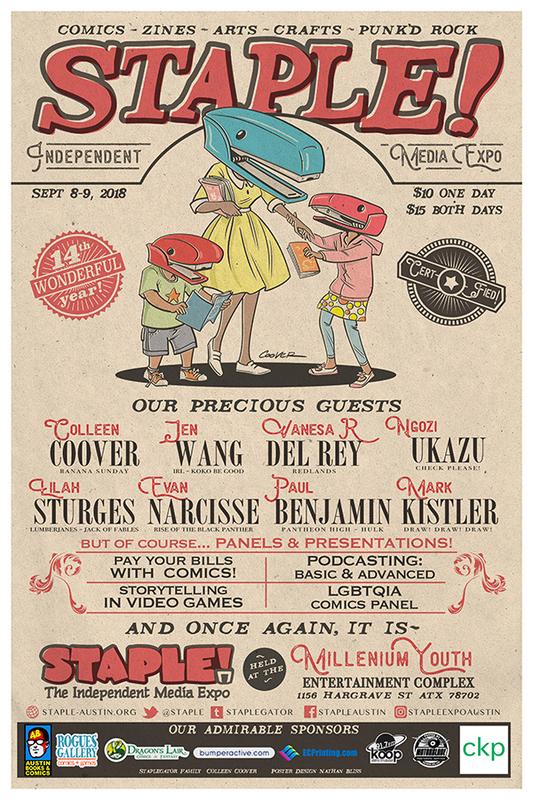 This year both Leah and Vanessa will be at STAPLE!, and we have a new Couri Vine Book 4 preview ready, as well as our previous books, lots of art, and a new-and-improved Moon City display that has some really fun new surprises. We hope to see you there! We’ll be at Table #75 at the Millennium Youth Entertainment Complex in Austin, Texas on Saturday (11am-6pm) and Sunday (12-6pm). We did it! Whew – what a ride!! THANK YOU to the wonderful 111 Kickstarter Backers who supported our 2017 Kickstarter campaign! We can’t express our thanks enough for your pledges, your encouragement, your social “shares” and blog posts, your positive thinking, and your faith in indie artists and female comic book creators! Thank you, our rock stars! You did it! 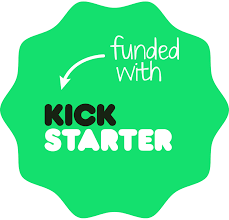 Please stay tuned, especially in the next few days, as we will reach out to you via Kickstarter for the information we need to get you your comicbooks and stickers!! Thank you again! You are the super heroes in this story, and we are over the moon! 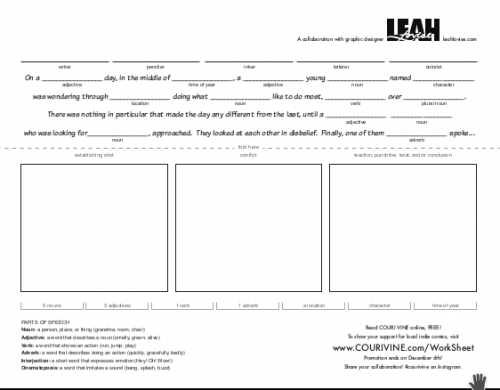 For those who have not attended a comic book workshop led by Leah Lovise, the Collaborative Worksheet is a fun way to learn how to create comics as part of a team. writing, penciling, inking, lettering, and coloring. Participants get in teams of collaborators (Writer, Penciler, Inker, Letterer and Color Artist) and pass the worksheet around the table to create a three-panel comic strip! Once you have downloaded the worksheet, follow the steps below. 1. Fold the page inward along the dotted line so that the mad lib at the top doesn’t show. 2. Have your “writer” fill in the invisible columns with the correct number of words (and correct parts of speech, as indicated). 3. Unfold the worksheet and fill in the Mad Lib, then share the story with your collaborators! 4. Pass the worksheet to your penciler, who sketches out the story (beginning, middle, and end) in three panels. 5. Pass the worksheet along to the person(s) who will ink, then letter, and then color your collaborative comic strip! Need a quick reminder of the different Parts of Speech? Sea monsters and evil robots and mad scientists, oh my! Like Dorothy, Couri Vine can’t seem to catch her breath. But rather than going over the rainbow, she’s returning to an abandoned Earth. This welcome return to Couri’s universe never loses its vivid optimism—due to the pluckiness of its courageous young hero. Dorothy may have gotten swept away by the storm, but Couri takes control of every situation she encounters. The second issue of this exciting series boasts a strong supporting cast, and it reveals the rich history that led up to moving the human civilization to the moon. Vanessa Shealy’s clever script captures the spirit of contemporary adolescents, while still managing to appeal to adult readers. And Leah Lovise’s gorgeous illustration and brilliant use of color all serve to enhance the storytelling of this fun, adventurous piece. Check out Couri Vine #2 today! THANK YOU to the following wonderful 112 supporters who backed our 2017 Kickstarter campaign! We can’t express our gratitude enough for your pledges, your encouragement, your social “shares” & emails & blog posts, your positive thinking, and your faith in indie artists and female comic book creators! Thank you, our rock stars! You did it! ANNOUNCING! 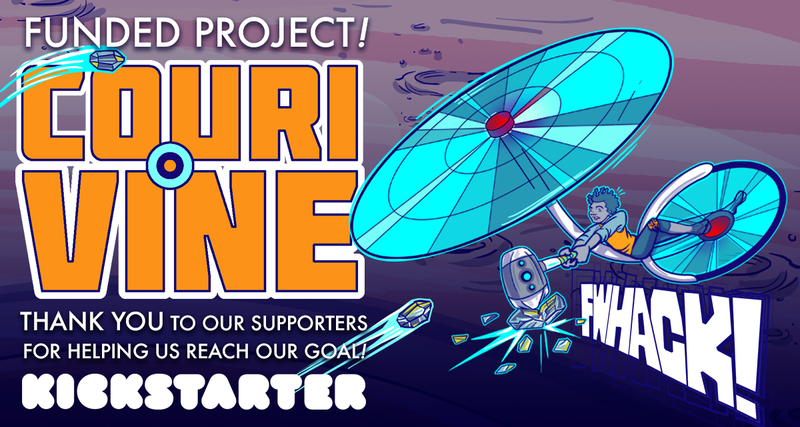 The Couri Vine comic book Kickstarter is now LIVE! @LeahLovise and @VanessaShealy completed Books TWO and THREE, and are making them available through Kickstarter just in time for the holidays. AND we will release that Book 1 one-page-per-day of this 28 day Kickstarter campaign! Please visit the kickstarter link at the bottom of the page to read more about this project, and thank you in advance for your support! Guess what! You can now find both Couri Vine comic books at these stores. Exciting news! 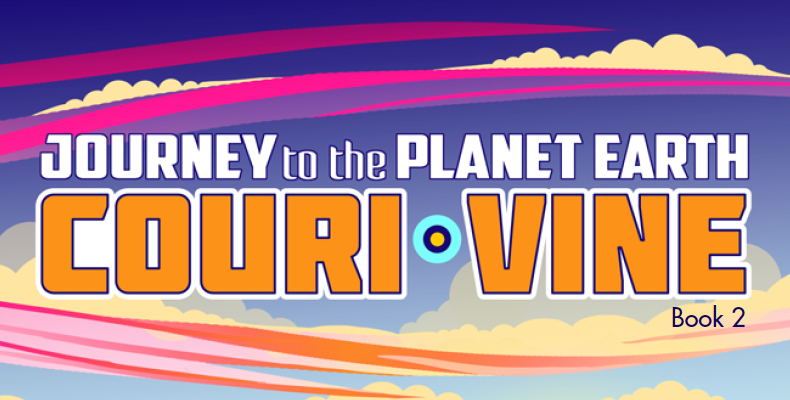 Couri Vine Book 2: Journey to the Planet Earth made its debut at Staple! Independent Expo in March. Leah Lovise was there with both Couri Vine comic books, stickers, cards, and and even a miniature model of the Garden Towers in Moon City! We worked hard to get this one complete and in print just in time for the Expo, and we’re super thankful to Indigo Rael and Nathan Jensen for their outstanding work in coloring Book 2! 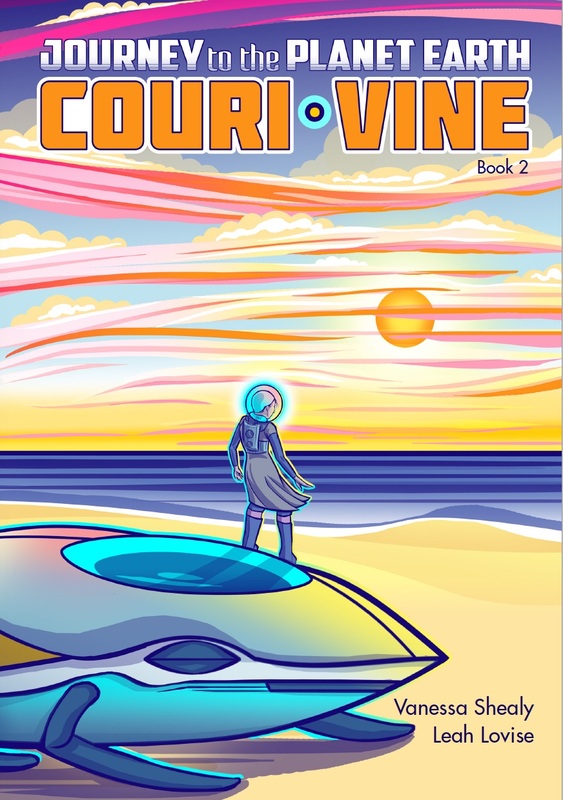 Get your copy of COURI VINE Book 2: Journey to the Planet Earth!!! Available NOW at our store!!! Couri Vine: Young People for the Leader is now available on ComiXology! 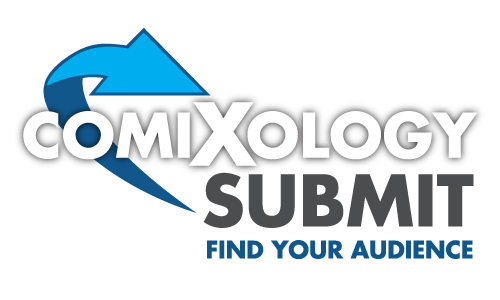 ComiXology is the number one digital platform for comics and Comixology Submit is their creator-owned platform for independent comic book creators (like us) to publish their work. Getting this book on Comixology was one of our big goals when we started out on this adventure, and we’re excited to have achieved it so soon. Click here to find Couri Vine on ComiXology! 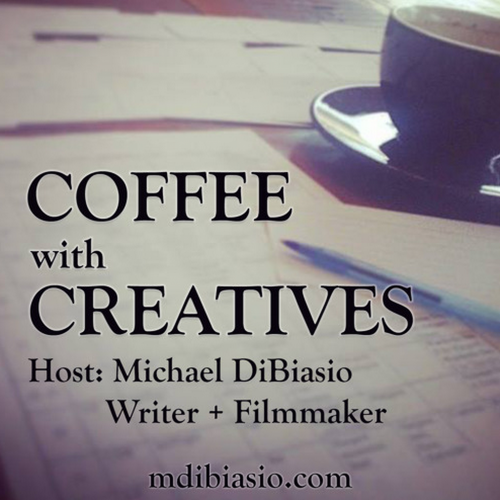 Click the image below to have a listen to the Coffee with Creatives interview with Vanessa Shealy, a Writer and Actor (and Producer) fresh off a successful Kickstarter for her co-created indie comic,Couri Vine. Have you ever wished you could travel to the moon? Cou ri Vine is already there, on the dark side of the moon, to be precise. Unfortunately for her, she’s so much going on that it could even make the man in the moon lose his smile. Couri Vine is charmingly written by Vanessa Shealy and effectively illustrated by Leah Lovise. 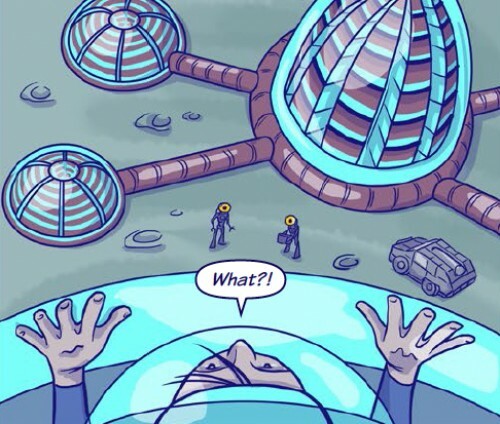 The first (and hopefully not only) issue of this comic book series is set in a future where the earth is so polluted that humans have created a settlement on the moon. 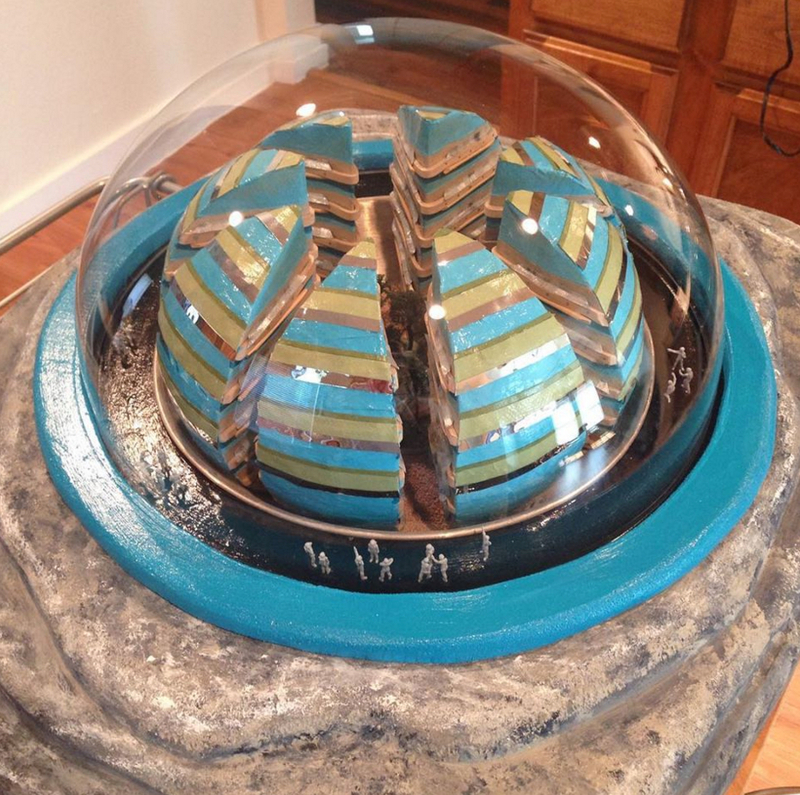 The settlement is depicted with intriguing detail, full of domes, nooks, and crannies. In fact, a map of the settlement is included with the names and pictures of the main characters for reference. Couri herself has a tragic flaw—she can’t breathe without a helmet that looks like a smaller version of one of the domes that creates the settlement, or like a modern-day astronaut suit. It’s one of the tricks that make the first issue work: what on the cover appears to be just part of a science fiction plot is what makes the protagonist unique. Couri looks like a young astronaut, but she’s really a little girl with a very specific challenge. And yet Shealy and Lovise don’t ever treat their characters or their audience condescendingly, and there is a diverse enough cast that you don’t need to be young to appreciate the well-crafted story. Like The Little Mermaid or Alice in Wonderland, having a preteen lead doesn’t prevent the tale from being universal. And also like said stories, Couri Vine is a cautionary tale, exploration, and celebration of what it’s like to be different, marginalized, ostracized, ridiculed, and/or challenged. 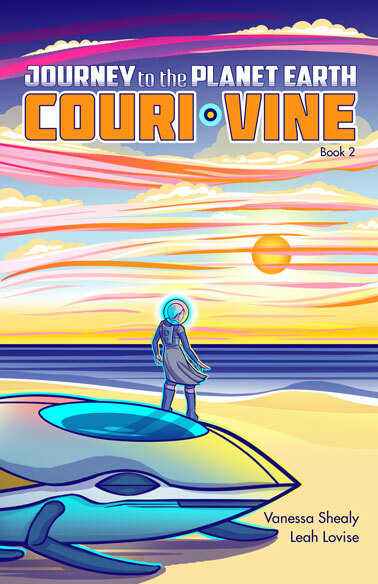 Couri Vine also adds to a welcome, increasing niche in the comic book industry: a series written and illustrated by women about a female protagonist. The new series joins the ranks of fellow girl-power pieces, such as Batwoman and World’s Finest. 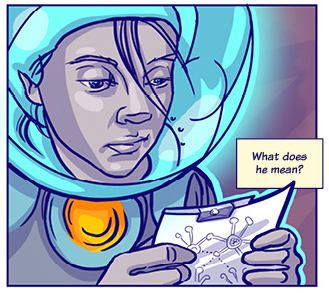 And last but not least, Couri Vine is in essence a science fiction comic. For those of us geeks who don’t quite understand why there hasn’t been a Star Trek series on TV since 2005, this is definitely a step in the right direction. And if you’re simply a fan of the astronaut element of series like Fantastic Four and Green Lantern, you’ll love Couri Vine. Couri Vine is a new kid’s comic Kickstarter from all-woman team of Leah Lovise and Vanessa Shealy, with colouring by Indigo Rael, and it’s pretty darn cute….I don’t know about you, but I am always here for girl detectiving and adventuring. Read the entire post HERE, and Share! We’ve got more than one week left of our Kickstarter campaign, and we’re happy and proud to say that we are already FUNDED! So far, 62 people have backed this comic book, and we are extremely grateful. So, we’re gonna keep on going! We’ve put a lot of time (and money) into creating this book. 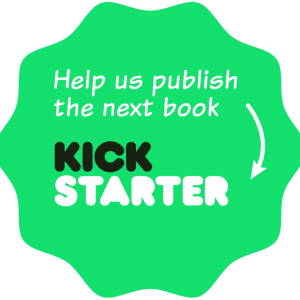 Now that we have exceeded our initial goal, additional funds will go toward creating Couri Vine Book #2!